vegetarian | Move your Assets! Healthy Holiday Recipes from the LV Community! LifeVest recently held its first virtual “potluck” featuring users’ favorite healthy recipe renovations! 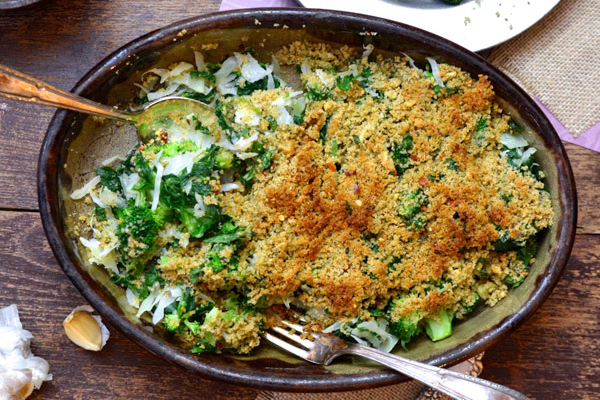 From veggie-filled sides to revamped casseroles to an array of convenient, make-ahead Crock-Pot meals, we received a hearty round of recipes to now display at our virtual table. We’ve selected a few of our favorites to share with you, so grab a seat with us and get inspired for your next holiday gathering. Also, we’d like to extend a warm thank you to our entire LifeVest community and all whom swapped a recipe with us! 4,500 – The average number of calories eaten per American on Thanksgiving. This whopping number makes us feel that as a nation, we’re not giving nearly enough thanks to our bodies. Even with exercise to the rescue, that splurge would take a 155-pound person six hours of running to burn it all off. If you’re taking a slow jog around the track, make that ten hours. Rather than take on that fitness feat, this year we’re making a commitment to give thanks to our health. Join us as we celebrate Thanksgiving both by practicing moderation, and also by revamping some of our favorite holiday dishes. 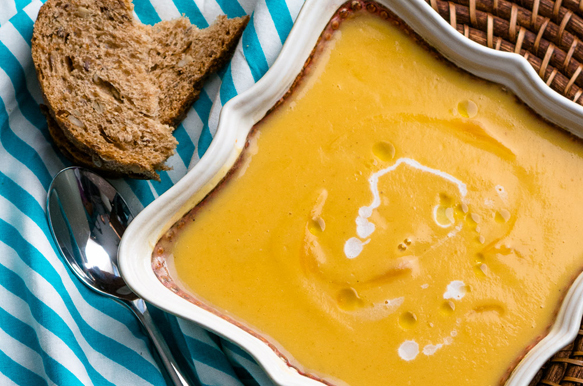 The menu below allows you to dig into many of the classics with a slightly healthier spoon, mashed potatoes and pumpkin pie included. Choose one or two to bring to your celebratory table, and then allow yourself to enjoy what else is offered. Just be mindful not to go too overboard so you can walk away feeling energized and thankful (rather than passed out on the couch!). “They’re like French fries but without as many of the calories and fat,” said LifeVest member Laura Meier. Bingo. 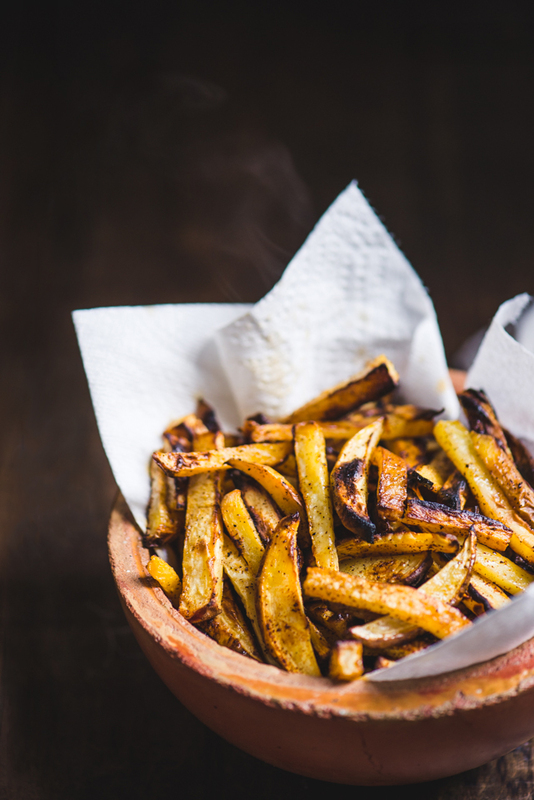 Laura’s description of rutabaga fries sounded great to us, and it didn’t take us long before we set out to discover its truth. Since joining the program, LifeVester Laura is over halfway to her goal of losing 50 pounds, and now has a new goal of maintaining a healthy lifestyle for the long run. Laura told us she loves finding new ways to transform some of her favorite recipes into healthier versions. It keeps her feeling both satisfied and excited about continuing on. She has always loved french fries, and we do too, so we were thrilled to hear about her latest version that enables her to remain on the right track toward her goals. Rutabagas have just 1/2 the calories and 1/2 of the carbs that potatoes contain. 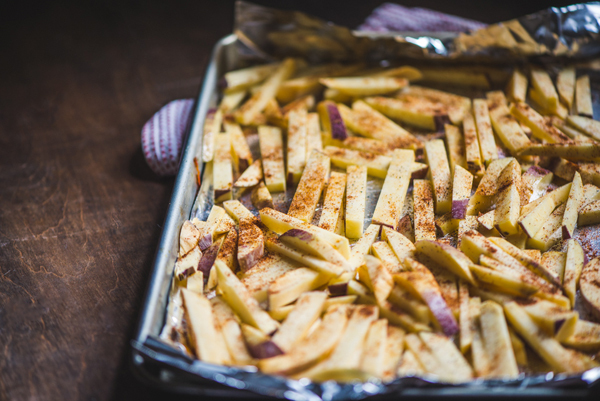 So, inserting them into the standard oven-baked fry equation sounded like a genius idea to us. 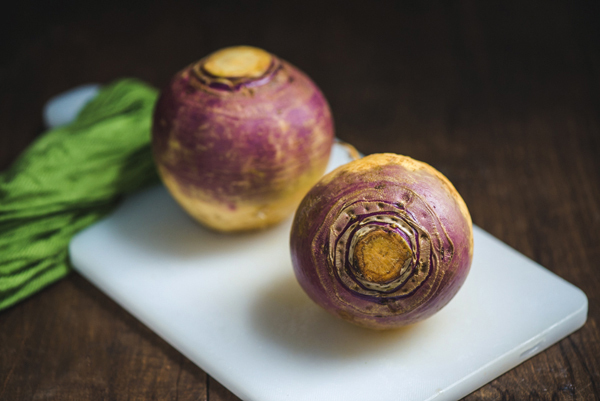 Often mistaken for a turnip, the root veggie has that same sweet bite of a turnip with the starchiness of a potato. 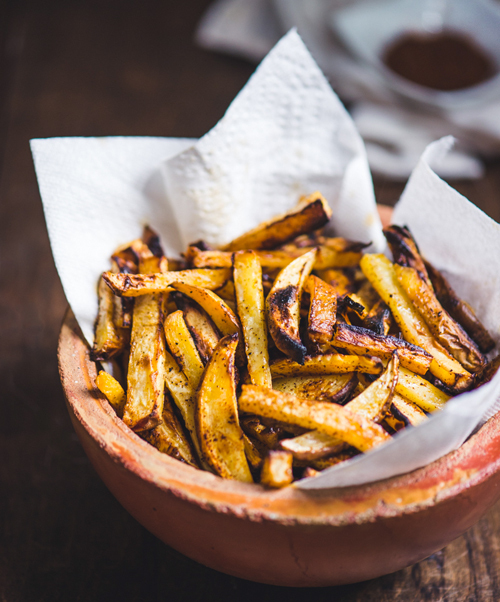 This makes them perfect for slicing up into flavorful fries, ones that luckily come without too much detriment to your diet. At just 65 calories per cup, the winter veggie (in season Oct. – March) has become no small fry in our recipe book. Rather, thanks to Laura, it’s our new fry-making go-to. 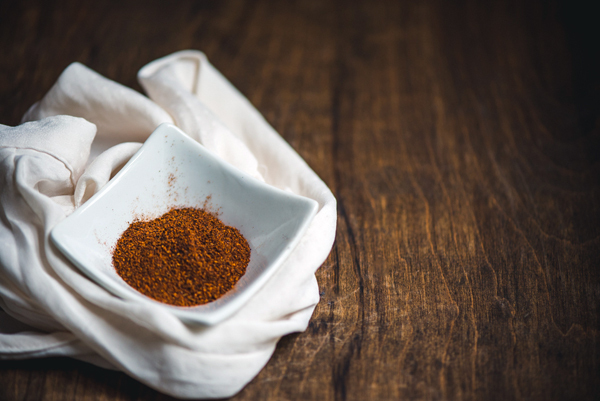 We were thrilled with the crispy results upon our first batch, and are excited to experiment with other spices and herbs. 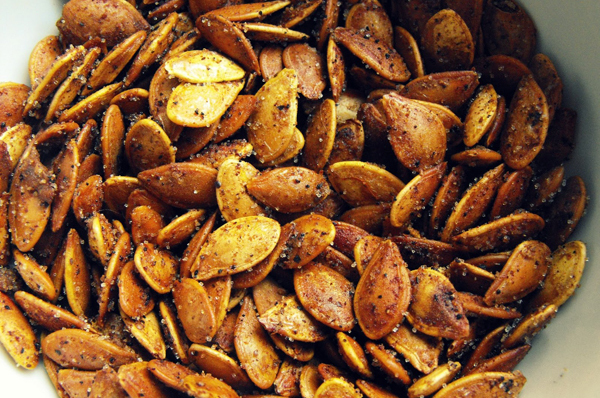 We’d encourage you to do the same after first trying the chili powder version below. As Laura shares, “It makes us, especially my husband, think we’re having a burger and fries.” She serves her ruta-fries alongside turkey burgers with lettuce swapped for the bun, a combo we can get behind. 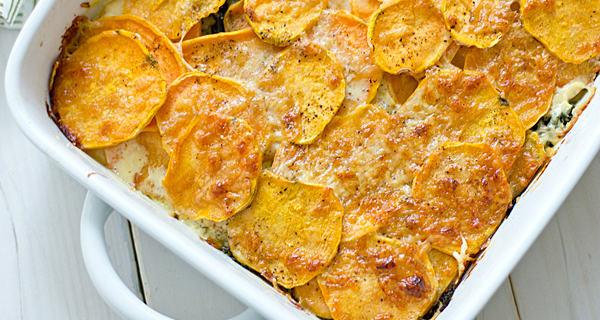 Let us know in the comments, how do you make your favorite comfort foods healthier? We’d love to hear what you’re doing to transform some of your favorite recipes, and thank you to Laura for sharing this idea with us! How does LifeVest dress up for Halloween? That’s a no-brainer. 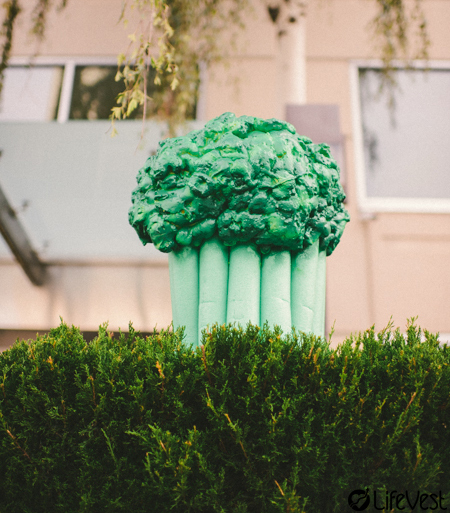 We turn ourselves into Broccoli Man, of course, our favorite super-health-hero for fighting cancer, inferior food choices, inflammation, vitamin D deficiency, and more. 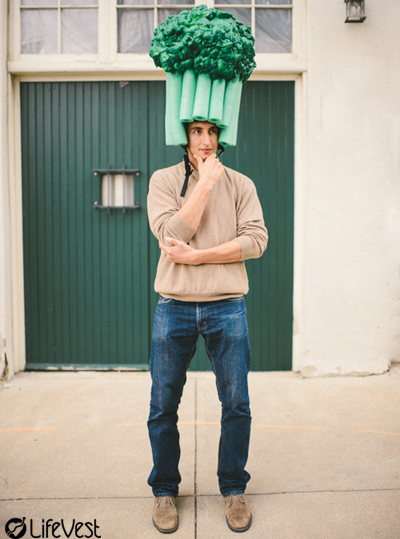 This got us thinking, what might Broccoli Man be if he were to dress up for Halloween? We asked him, and following are some ideas he’s pondering. He’s hoping you might help him decide by telling him which one is your favorite.